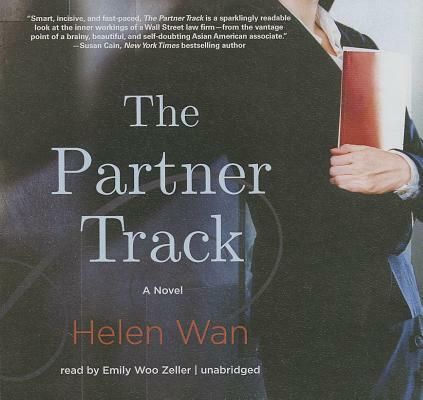 A young attorney must choose between the prestige of partnership and the American Dream that she-and her immigrant parents-have come so close to achieving in this riveting debut. In the eyes of her corporate law firm, Ingrid Yung is a twofer. As a Chinese American woman about to be ushered into the elite rank of partner, she's the face of Parsons Valentine & Hunt LLP's recruiting brochures-their treasured Golden Girl. But behind the firm's welcoming facade lies the scotch-sipping, cigar-smoking old-boy network that shuts out lawyers like Ingrid. To compensate, Ingrid gamely plays in the softball league, schmoozes in the corporate cafeteria, and puts in the billable hours-until a horrifically offensive performance at the law firm's annual summer outing throws the carefully constructed image way out of equilibrium. Scrambling to do damage control, Parsons Valentine announces a new diversity initiative and commands a reluctant Ingrid to spearhead the effort, taking her priority away from the enormous deal that was to be the final step in securing partnership. For the first time, Ingrid finds herself at odds with her colleagues-including her handsome, golden-boy boyfriend-in a clash of class, race, and sexual politics.